The CPU most determines how a PC performs, which is why finding the right computer processor is essential for making a system upgrade or starting a new build. It is important to buy a desktop processor that can handle the tasks you need your computer to perform. Equally as critical are budget considerations; you want the best CPU performance for the dollar, and do not want to pay for unneeded features. With hundreds of CPUs to choose from, options abound. Understanding how CPU specifications and model numbers relate to performance will help you make a proper processor comparison. When it comes to desktop CPUs, consumers have two choices: AMD and Intel. In 2016, AMD is typically associated with budget processors, with the Intel brand better known for performance computing. Both AMD and Intel have options at all points of the performance spectrum. We will go into more detail about specific CPUs below. Anyway, discussion around brand dominance usually contains more bluster than substance. 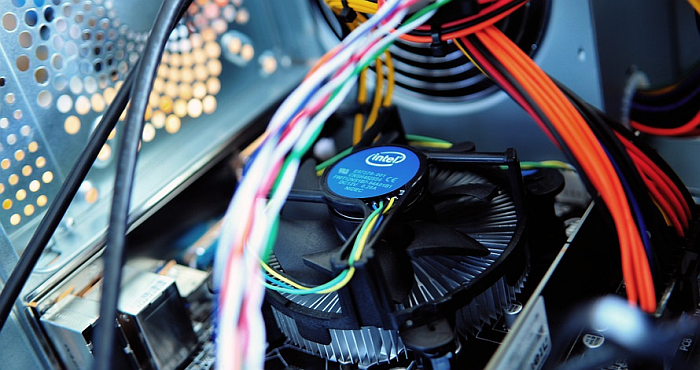 You will want to pay attention to features and compatibility, as well as cost-to-performance considerations when choosing a desktop processor—these are more important than brand. Whether a CPU and motherboard share compatibility is determined by the type of CPU socket on the motherboard. If you are purchasing a CPU to upgrade an existing system, you must know which CPU socket your motherboard has in order to pick the right CPU. If you are building a new system, usually you will shop for the CPU and motherboard together. Sometimes retailers offer discounts on CPUs and compatible motherboards. Just make sure to pick a CPU that fits the processor socket and vice versa. As you might guess, AMD and Intel hardware are incompatible with each others’ motherboard sockets. Not all AMD processors are compatible with all AMD motherboards, either—and likewise with Intel hardware. Our CPU product pages always list the corresponding socket type. You can also use the Power Search filter in the NeweggBusiness Desktop Processors store to sort CPUs by socket. A CPU’s clock speed is measured in gigahertz (Ghz), a frequency metric of how many times per second a processor cycles. In the old days of single-core processing, frequency was really tied to performance—the more hertz, the faster your system. Today, as technology has moved to multi-core processing, clock speed is less of a performance indicator than other facets of a CPU. Where clock speed remains a factor is when comparing CPUs that have otherwise similar specifications—the same number of cores and amount of cache memory, for instance. This is why CPU models of the same processor family are organized by SKU in increments of operating frequency. You can filter CPUs by clock speed in the Desktop Processor store. Modern processors commonly have several individual CPUs—called cores— built onto one die. Operating systems recognize each core as its own separate CPU and yield a system performance boost when performing multiple tasks at the same time. The physics is the same as having multiple CPUs in your system. Most if not all mainstream desktop processors on the market are dual- or quad-core CPUs. Certain models of AMD desktop processors have six or eight cores. Multiple cores help a computer work on several tasks at the same time, or run complex applications like creative programs and analytical software. For basic web browsing and office work, a dual core suffices most of the time. For running specialized software, a quad core is likely the way to go. You can filter CPUs by number of cores in the Desktop Processor store. Cache memory is what a processor uses to access the main memory of a computer faster. CPUs have a small amount of RAM built into them called—you guessed it—the cache. The cache stores frequently or recently used files and instructions for faster recall and processing similar to how a web browser would store frequently accessed URLs in its memory. CPU cache makes for more responsive system performance for the end user. CPUs in 2016 have multiple layers of cache, referred to as L1, L2, and L3. Data stored in L1 is recalled fastest, but is smallest in terms of capacity. L2 has a larger capacity and more latency. L3 has the largest storage space and the most latency. Generally speaking, the higher capacity the cache memory, the faster the system responds. You can filter CPUs by cache memory capacity in the Desktop Processor store. The tasks that a CPU core executes are called threads. Normally a CPU core can execute one thread at a time every time they cycle. Multithreading allows the CPU core to schedule multiple tasks that are processed in a more time-efficient matter. This results in better throughput and performance gains for the end user. Note that enhanced performance will only be experienced when running multithreaded applications, however. Examples of applications that benefit from a multithreaded processor: video editing, 3D rendering, mathematics and analytical applications, programming, heavy multi-tasking, or if a computer is used as a server. Typical office work normally does not benefit from a multithreaded processor. Intel uses the term hyperthreading to talk about its multithreaded CPUs. You can filter processors by multithreading in the Desktop Processor Store. Perhaps the best raw indicator of CPU performance, Instructions Per Cycle (IPC) measures how many instructions a processor executes in each clock cycle. High end CPUs are able to complete more instructions per cycle and therefore will outperform a CPU with a comparatively lower clock speed when used for the same application. IPC can vary depending on other components in a system and the applications running, which is why vendors tend not to publish the metric. To find IPC you have to look at independent benchmark testing. Several sites on the Internet publish CPU benchmark tests. Benchmarking results are a fine way to do a processor comparison, just make sure you look for benchmark testing performed in a system with similar specifications and running similar applications as what you have or are planning to use. APU is a creation of AMD’s marketing efforts. Certain CPUs are designed to act as a CPU and graphics accelerator (GPU) on one chip. The AMD A-Series processor are examples of APUs. Many Intel processors have integrated GPUs as well, but do not denote processors in a different manner. AMD offers several options in the sub-$100 price range. You will find lots of AMD A-Series and older model AMD Athlons here. On the Intel side, Pentium and Celeron processors round out the budget arena. For basic office work and web browsing, any of these processors will suffice. System builders can get a very capable CPU for under $200. Browsers in this range can handle moderate multi-tasking, programming, and creative applications. Unless users are running multi-threaded applications, there is little reason to purchase more than a quad-core Intel Core i5 processor. On the lower end of the mainstream spectrum, Intel Core i3 and mid-range AMD A-Series processors are more than capable for light multi-tasking with office programs or SaaS work in a web browser. Related content: Which Intel Processor should you pick? When it comes to the market for CPUs, Intel Core i7 is the dominant processor for performance builds; in 2015, the Haswell-E Intel Core i7 processors were the top selling CPUs at NeweggBusiness. Users in AMD environments typically opt for a high-end FX-series processor for workstation builds. The charts below show how groups of processors break down by performance. Certain metrics like clock frequency fall into a range across SKUs within processor groupings. More information about specific processors can be found on NeweggBusiness product pages. Hopefully this information helps with making a proper processor comparison; note that NeweggBusiness product pages in the Processor – Desktop store have additional details and pricing for individual computer processors. The CPU most determines how a PC performs, which is why finding the right computer processor is essential for making a system upgrade or starting a new build. Concise and Precise…Thank You. This is what is needed.